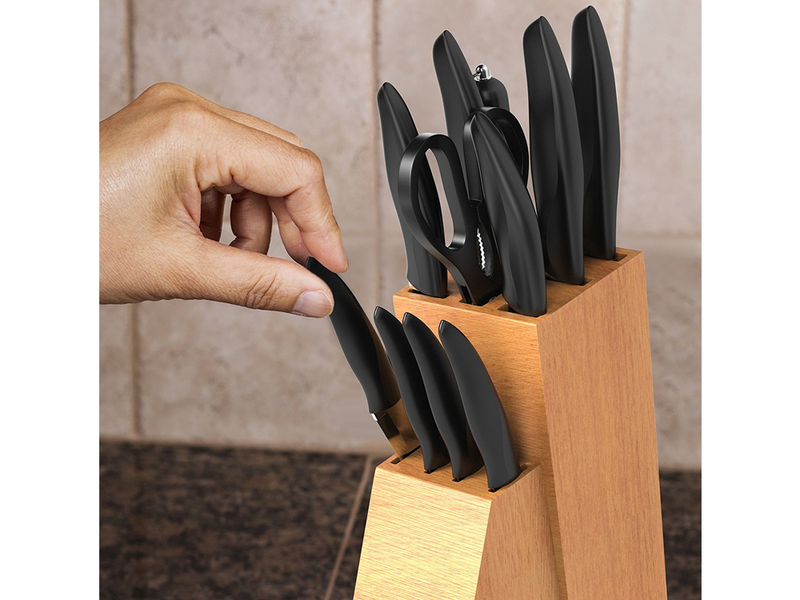 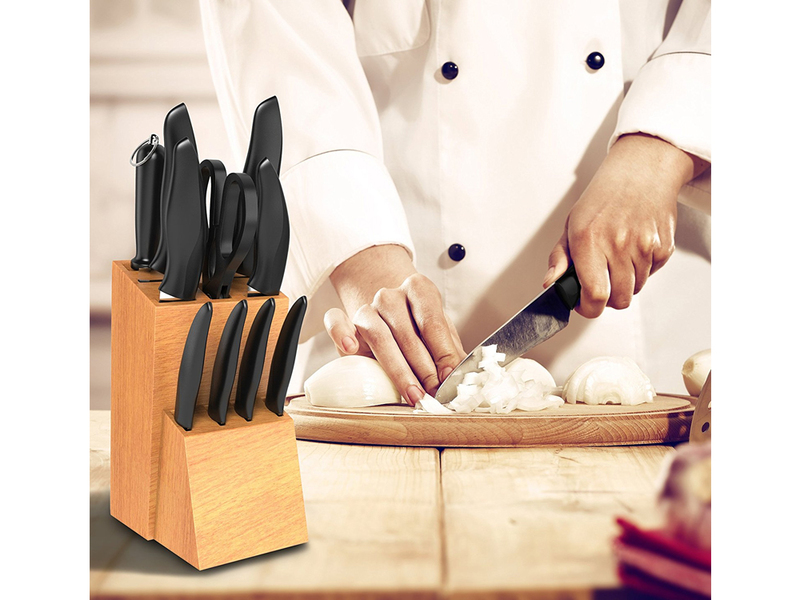 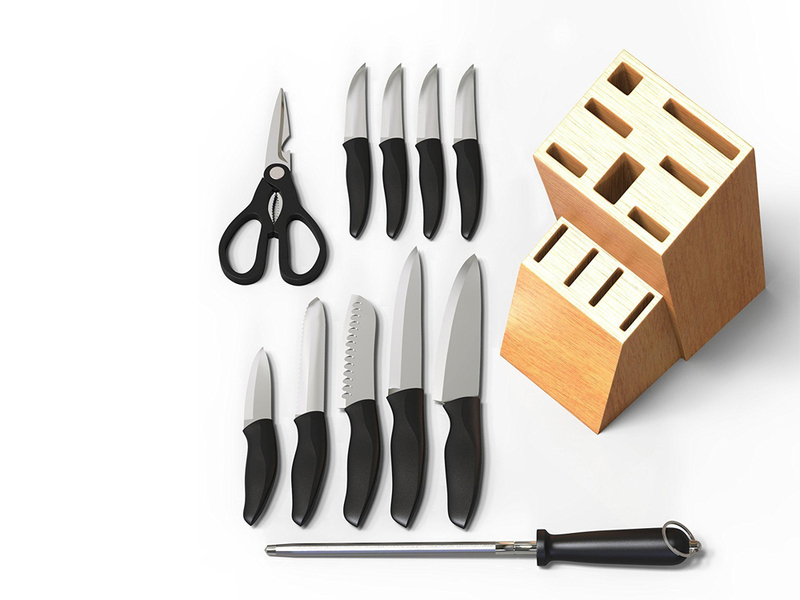 ALL-IN-ONE: This 12 piece set comprises of 1 - 8" versatile chef's knife, 1 - 8" Slicing Knife, 1 - 5" Santoku Knife, 1 - 3.5" Paring Knife, 1 - 5.5" bread knife to make slicing a loaf simpler than ever before, 1 - stunning pair of multi-use scissors, 1 - Sharpening Steel Rod and 4 elegant steak knives. 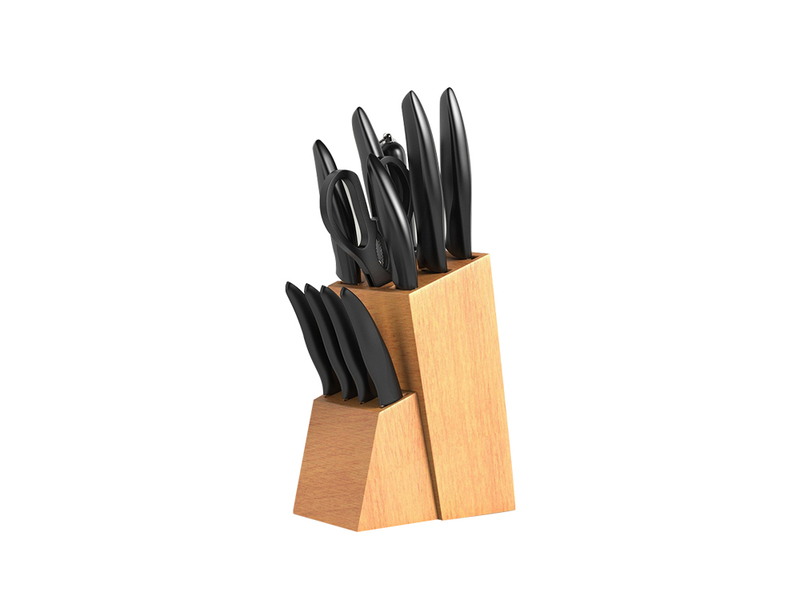 With enduring style, these knives are crafted for continuous use. 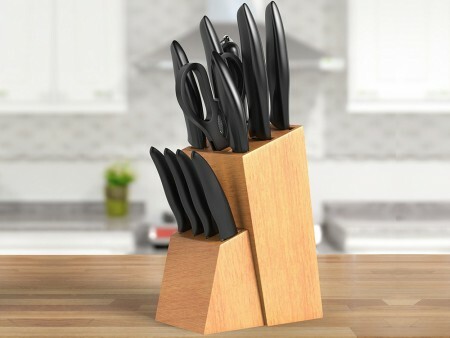 Presented in a warm and stylish yet, functional wood block for safe kitchen storage. 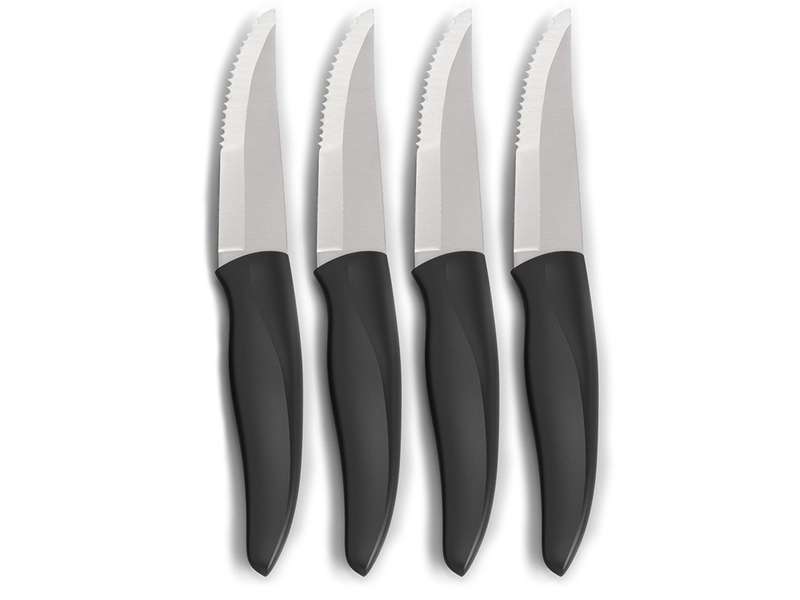 Once ready to clean, simply hand wash each german steel knife and immediately dry. 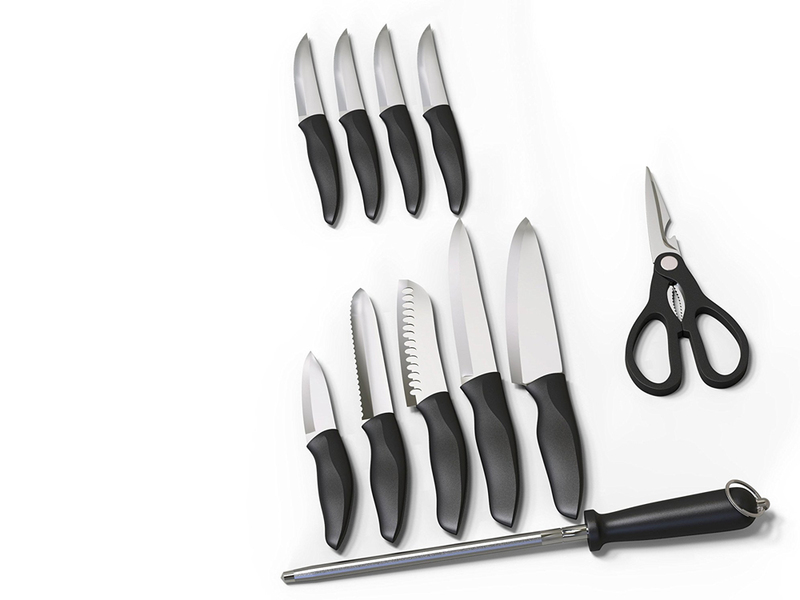 All cookware is cleaned and sanitized and is expected to be returned in good conditions. Once returned they will undergo a sanitation process and functionality will be assessed before being rented.